Namit to translate means delicious, yummy, scrumptious and all the other adjectives that you can find in your dictionary that best describes good food! Food has always and will always be a big part of my trips (and life in general) and what better way to cap the series than to acquaint you with some of the wonderful (recently discovered) delicacies this region has to offer. Negros is renowned for celebrating in style, their cuisine developed for this eagerness for festivities though much of their cuisine is guarded in family kitchens. Particularly popular are their sugar based food items and delicacies but not to neglect are some of the best savory treats I’ve ever encountered. Besides Chicken Inasal, Guapple Pie and the sinfully delicious sweets of Calea featured in my earlier posts, Negros’ pastries and confectionary are particularly popular and Piaya, Barquillos, Pinasugbo, Pastillas de Manga, and Dulce Gatas are ranked among the favorites. Here are some of my favorites! 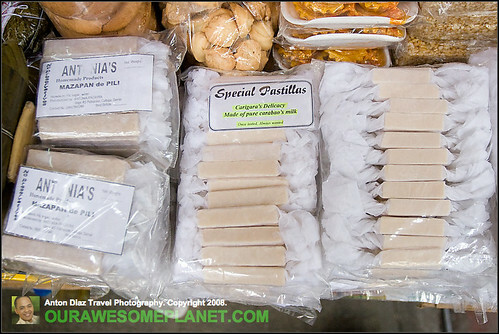 Dulce Gatas: a chewy caramel like paste made of carabao’s milk. A different take on pastillas, a milk based pastry and can be made with just milk and sugar. 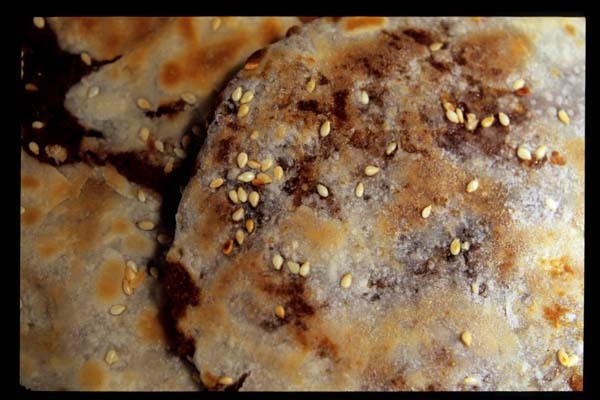 Casa Caramel Gourmet Piayitos: unlike the traditional flatbread stuffed with muscovado filling called Piaya. This baby brother is a new take – smaller, crispier, slim discs that is absolutely addicting. And it’s organic too! I can finish the whole box and more in one sitting. Pastillas de Manga: empanaditas (baby empanadas) with yummy, sweet, chewy mango filling. Equally addicting. Pitaw: veering away from the sweets that is often the trademark of the Negrenses, Pitaw is wild rice-field birds, a local delicacy cooked adobo style. Now found in a jar to take home with you. Best eaten re-fried to crispiness. A different kind of Lechon (roast pig): have you ever heard of a chicken cooked inside a pig? Seems absurd but I promise… it’s really mouthwatering. This lechon is a specialty of Enting’s and is our last meal in Bacolod before heading to Sipalay. Came highly recommended by no other than Chef Bruce Lim, the first thing we did when we arrived was made reservations and ordered their specialty. Did not disappoint. Both lechon and chicken superbly flavored although the skin could be crispier but I’m not complaining. Chicken Binakol: Chicken soup cooked in sweet coconut juice. Although not exactly original to Negros, this Binakol deserves a mention particularly since it was especially prepared by (Arnold, the cook of Nataasan Resort) on our last night there. Absolutely heavenly and the best I’ve ever had. Diwal: saving the best for last. Also called angel wing clams, a sweet and succulent shellfish and a specialty of Negros So much a favorite that fisher folks harvested volumes of diwal up to the ‘90s, destructing its habitat and is considered somewhat endangered. Up until a few years ago, harvesting of these clams was totally banned to allow the remaining stocks to replenish its population. Thank God this conservation measures gave positive effect and we are able to once more enjoy a meal or two of this fabulous shellfish. Go have a glimpse of other worlds, visit My World here. I have pastillas de manga but what on earth was that pig with chicken inside? Why it had to be in there? I could have them separately but only maybe. a most wonderful post of all the food…the pig/chicken combination sounds interesting. now is the pig roasted on a spit or in the ground, or neither? nothing better than crispy skinned pig. i can imagine the chicken quite moist and tasty. thanks for sharing all the goodies with us. You make me hungry all over again although we have just had dinner! Chrome, it’s actually very good! Erin, It’s roasted on a spit and the chicken was indeed! I’m with Arija! I’m hungry all over again and it all looks delicious. What a great post and photos! Thanks for sharing the goodies! Nice to know about the delicacies there. One popular dish here is prawns cooked in tender coconut. You have some good eating in your world! please send me details where i can buy pitaw… frozed pitaw or in bottled. Hi Vivien… I got my pitaw at Casa Carmela.